Sign up for the Rapid Response Network & join us for a rally in Umatilla! 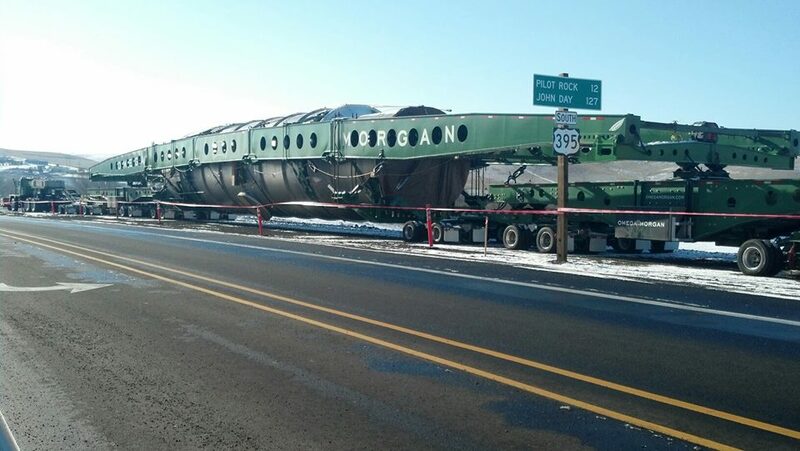 Beginning in November of 2013, the Oregon Department of Transportation (ODOT) began issuing permits to Hillsboro-based Omega Morgan shipping company to transport equipment bound for the Alberta tar sands from the Port of Umatilla down Interstate 84, Hwy 395 and Hwy 26 to the Oregon/Idaho border. This decision comes just months after resistance in Idaho and Montana, including direct action and litigation by the Nez Perce tribe, successfully blocked megaload access to Hwy 12 in Idaho, necessitating the establishment of an alternate route for tar sands equipment to reach Alberta. ODOT has permitted the transport of three megaloads between November 2013 and January 2014. If these loads successfully make it to Canada, it is likely the current route will be used again in the coming years to transport more tar sands equipment and other fossil fuel industry infrastructure. This route transverses ceded land of the Confederated Tribes of the Umatilla (CTUIR), land which is reserved for tribal fishing, hunting and gathering and over which, according to the Treaty of 1855, the Governor’s Executive Order 96-30 (1996) and ORS182.162-168, CTUIR is granted full right of consultation. In a recent letter to Governor Kitzhaber from the Umatilla Tribe’s Board of Trustees, Chair Gary Burke challenged the megaload trespass, citing the absence of mandatory consultation with the tribes, and the role of tar sands extraction in harming indigenous communities and fueling global climate change. As of this date, neither ODOT nor Governor Kitzhaber have agreed to schedule the formally requested government-to-government consultation. 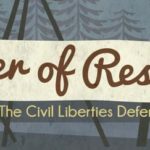 Sign up for actions in Eastern Oregon! Donate to our legal defense fund to support those already arrested in the struggle.